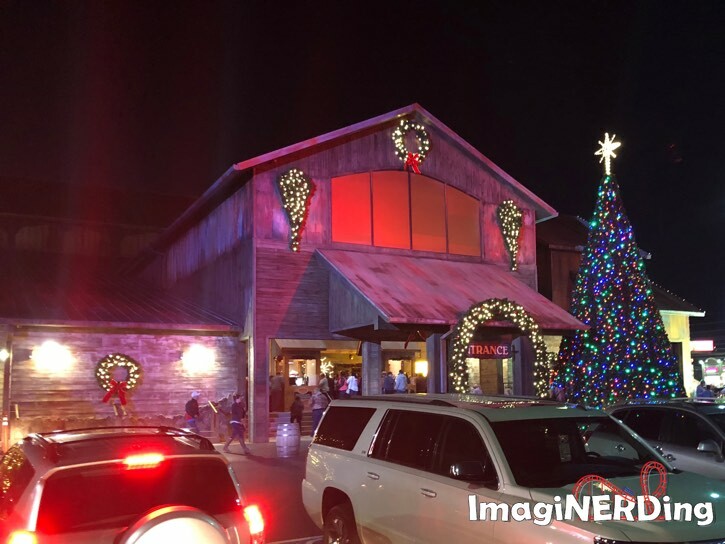 As a Dollywood Insider, I was invited to experience the new Smoky Mountain Adventures Christmas Dinner & Show and I posted a video review about the new show, here. 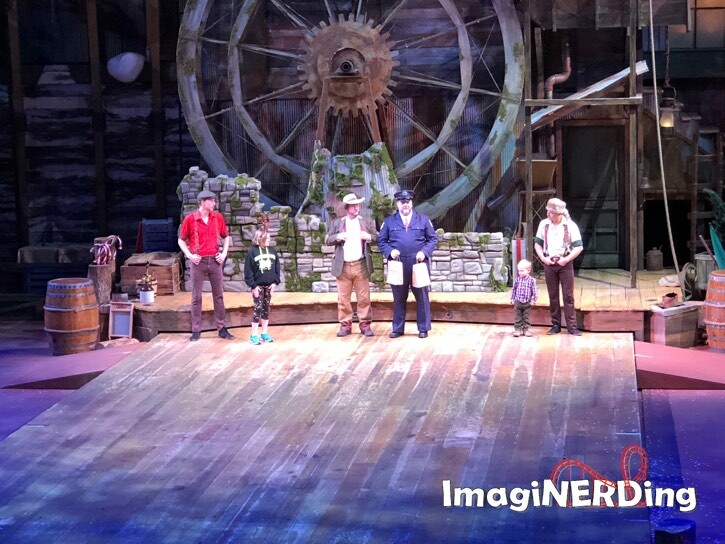 With this article, I wanted to focus on the overall experience, especially if you’ve never visited a dinner show before (I highly recommend this one). The entertainment is top-notch and the food is outstanding! The Smoky Mountains Adventure Theater is located at 2713 Parkway in Pigeon Forge, TN. It’s about a ten-minute drive from Dollywood and within walking distance of many hotels on the parkway. You’ll want purchase your tickets ahead of time to get the best deal and get the best seats. 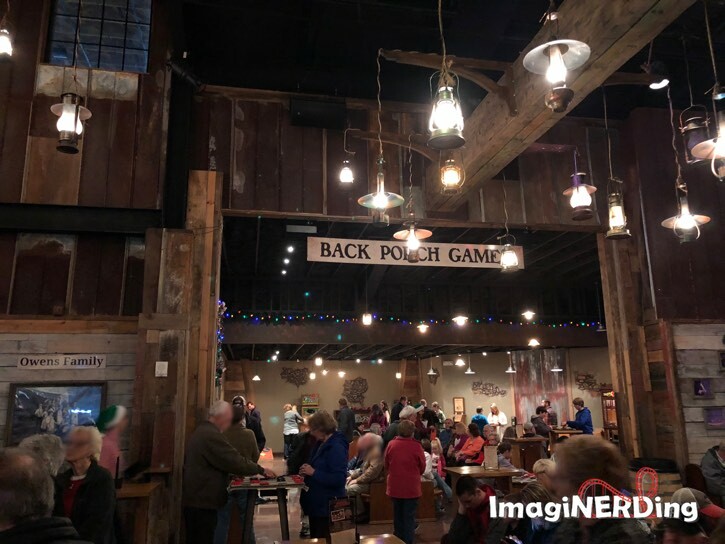 The doors open about an hour before showtime and you can hang out in the Bass Mercantile while enjoying special holiday drinks and games. According to my son, the Candy Cane Cocoa is the best drink ever! 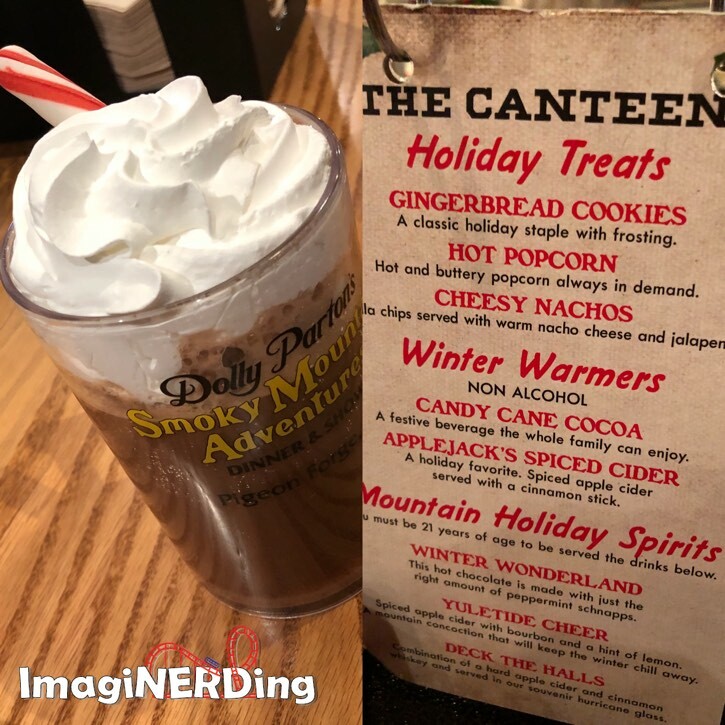 I ordered Applejack’s Spiced Cider and loved it (but I agree that the cocoa was astounding). 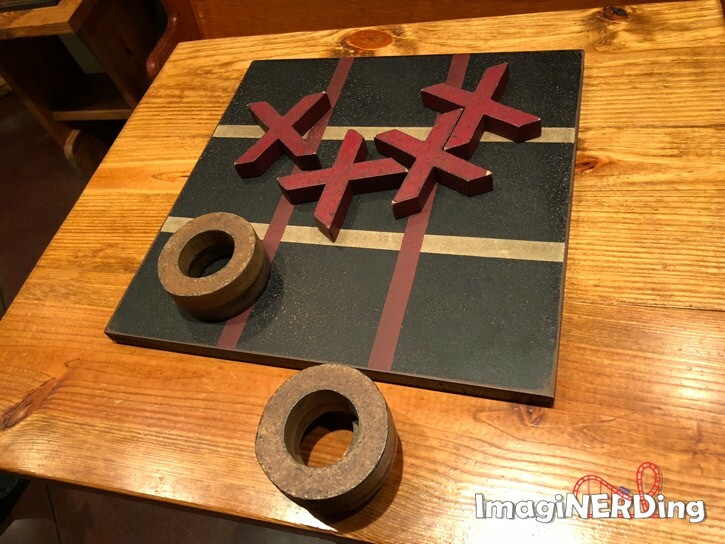 There are games like Tic-Tac-Toe, checkers and corn hole that you can play while you’re waiting. The theater opens about 15 minutes before show time and you’re directed to your assigned row, which seats about 10-15 people per row. Your server will come around and explain the dinner while she takes your drink order (Pepsi products, sweet tea and coffee). Even before everyone is seated, the pre-show begins! Notice the Mischievous Elf carrying the presents? 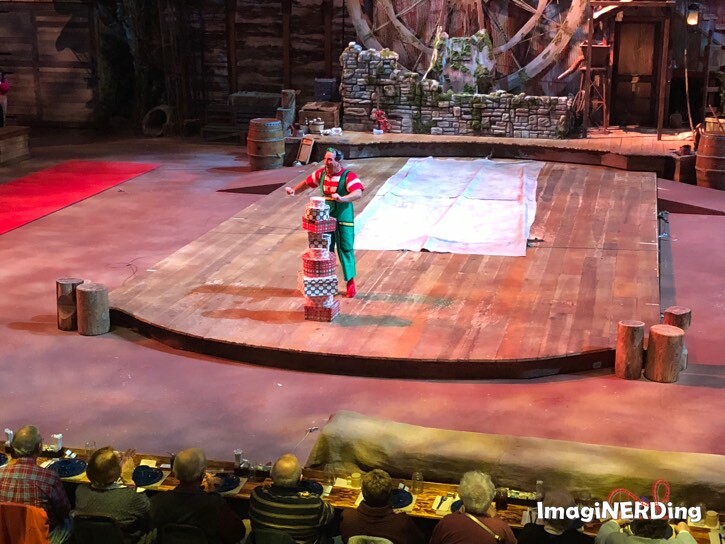 The pre-show with the Mischievous Elf and other musical performers lasts during most of the meal. Served over several courses, the meal is simply fantastic. The holiday dinner includes: a special holiday soup recipe, homemade buttery biscuits, spiral ham, pan fried chicken, old fashioned Southern dressing, a sweet potato treat, buttery corn on the cob, and Southern Peach Pie for dessert. Even my picky fourteen year-old loved the chicken, corn on the cob and biscuits. He felt like there was a great choice of foods for everyone. 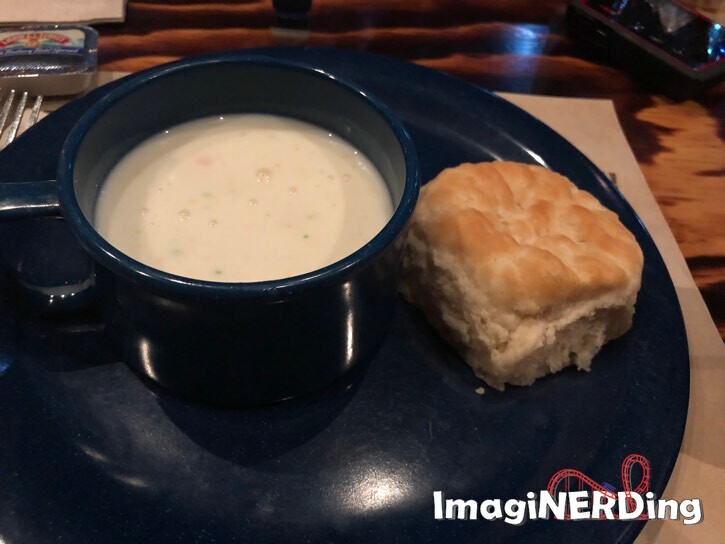 The creamy soup was very reminiscent of the soup from Dixie Stampede. I love that you can use a spoon, your biscuit or drink straight from the mug! There was plenty of time to enjoy the food without feeling rushed during the pre-show. The portions were large and will satisfy the heartiest eaters. The digital projections were charming and helped tell the inspiring story. 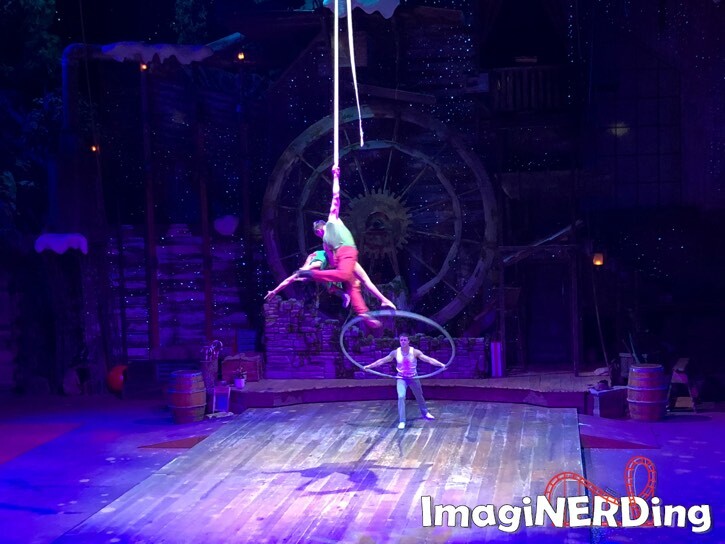 It was hard to believe that the performers could sing, dance, act and perform complicated acrobatic scenes. They were all wonderful. 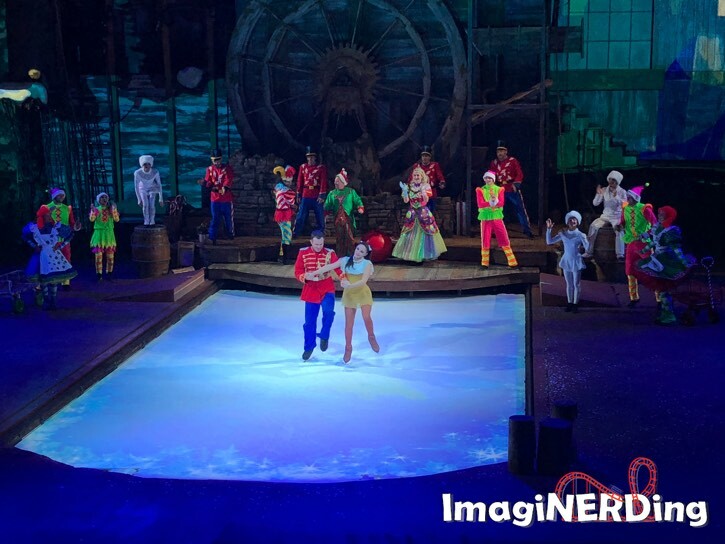 Adding the ice skating was charming and unexpected. The show balanced high energy scenes (like this one) with more sedate scenes to keep the entire show engaging. 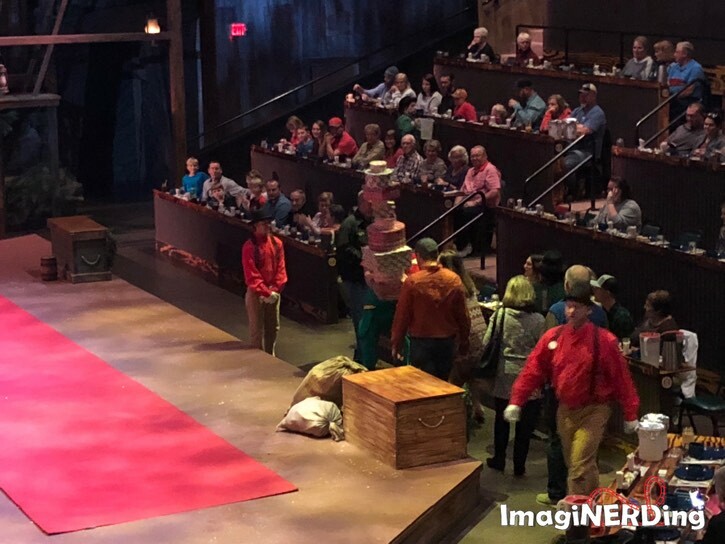 There were even several audience participation moments for children and adults during the Smoky Mountain Adventures Christmas Dinner & Show. There’s a modern, Smoky Mountain spin on many standard and classic holiday favorites! 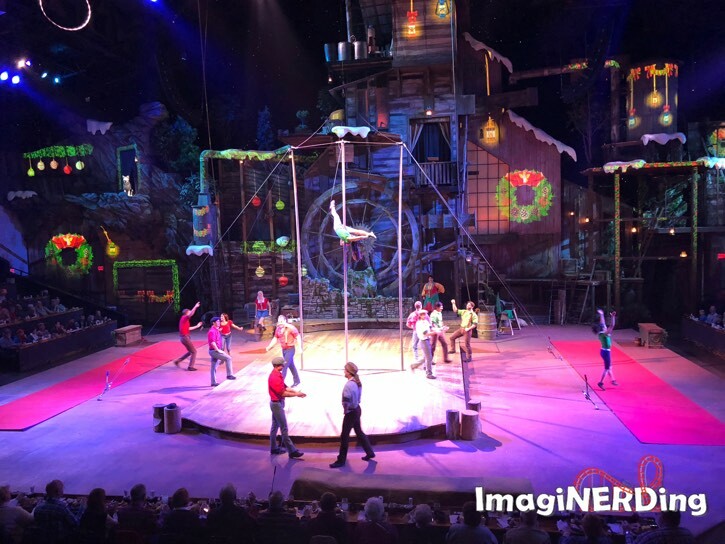 My family loved the Smoky Mountain Adventures Christmas Dinner & Show. The food was lip-smacking great and the entertainment kept us engaged the entire show. And let me tell you: these entertainers know how to sing, dance, act, skate and perform acrobatics. The show his a great way to spend an evening in the Pigeon Forge area. You will create fun, family memories that will stay with you for years. 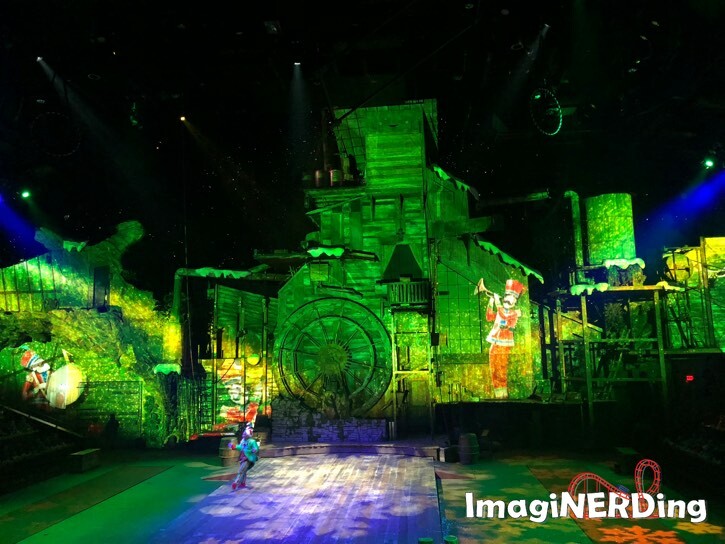 Plus, the whole experience is captivating enough to keep the kids away from their screens! 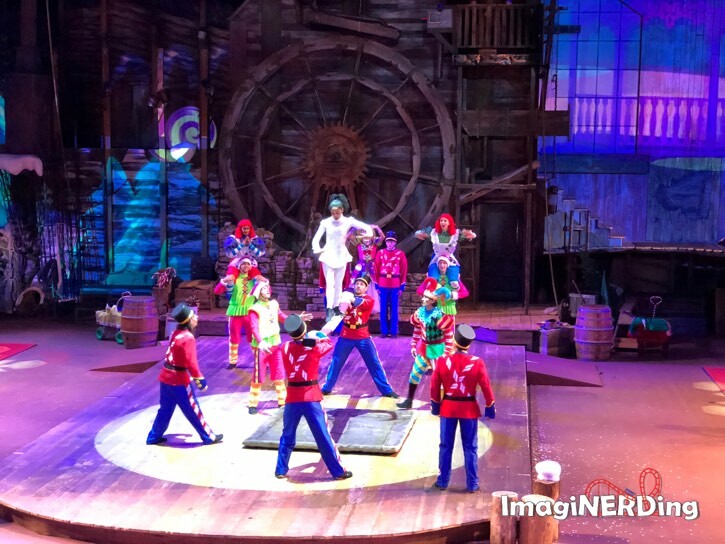 Are you going to check out the Smoky Mountain Adventures Christmas Dinner & Show?